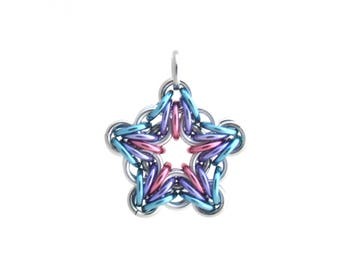 Take a look at this beautiful glass chain mail pendant! Featuring feminine pastel colors, this steel and glass pendant is a wonderful way to start a collection of chain mail jewelry! 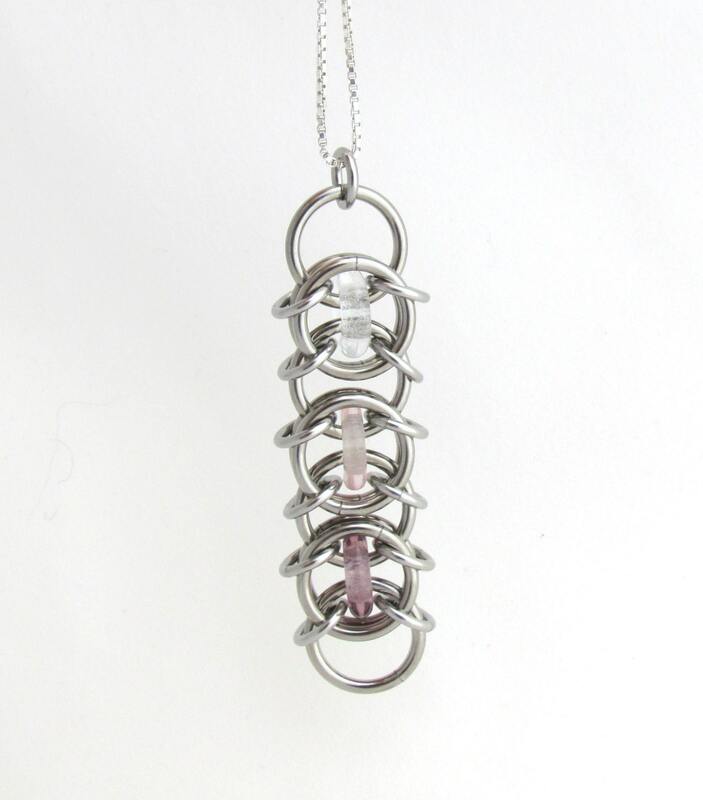 This multicolor pendant was crafted out of stainless steel jump rings, as well as glass rings in transparent clear, pale rose pink, and light amethyst purple. It measures approximately 2 1/4 inches long and 5/8 inch wide.